H and I recently co presented as a part of the training for the summer staff of our local Community Living/Inclusion organization. This was a really fabulous experience for a number of reasons. The openness of the staff to considering the ideas and perspectives being expressed was obvious, and very much appreciated. 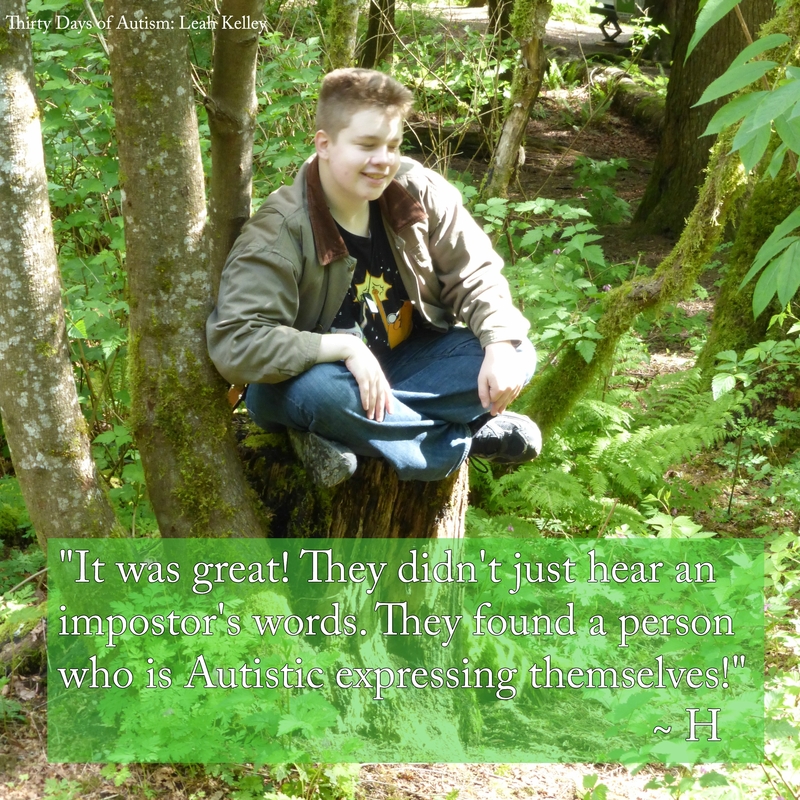 For me it is particularly important to be able to feature H’s experience and perspective, not only because of my commitment to the idea of ‘nothing about us without us’ (and the specific commitment to this I have made regarding my presentations), and the impact this lived experience has in expanding the understanding for others, but also because it empowers my son. Presenting is such a powerful way for this young man to feel he has some agency and can take an active role in combating negative stigma. The role this has in supporting his healthy sense of self is critical to cultivating his advocacy skills as he transitions to adulthood. He is learning that his voice and perspective have value and matter. As a parent, I also feel it is my responsibility to look for opportunities to encourage and support H in rejecting negative stigma. I want my son to stand strong against organizations and messages that work to tear him down, or shame him because of his neurology. If the negative messages about Autism were not so widespread, I might be inclined to shield him from such things, but the idea that Autism is a disease to be cured, or eradicated, and that Autistic people are tragedies and burdens, is so pervasive that this does not seem to be a reasonable option. I shared this in our presentation, and I appreciated the response of the participants, particularly since my son is involved with this wonderful community based organization. I understood that for some, this might have been the first time they had heard about the problematic practices of organizations like Autism Speaks. I am pleased that they will now be in a position to look more deeply into this – and I shared the Boycott Autism Speaks site (http://www.boycottautismspeaks.com/), so that they are able to access information if they are curious to learn more. I am encouraged that disdain toward Autism Speaks is becoming a mainstream response, as people who care about social justice and human rights become more educated about their practices. I intend to continue to work to educate others on the damage that this organization is doing with their unique combination of fear rhetoric, and a lack of inclusion and a silencing of Autistic people. And I am impressed with our community based Community Living organization and their committment to inclusion and acceptance, which is evidenced in their desire to include H in their staff training. H was asked what was important and why he liked participating with Community Living activities. And then… at the end of the day, Craig asked H how the presentation had gone. This entry was posted in ableism, Activist, advocate, Autism, Autistic, Boycott Autism Speaks and tagged #boycottAutismSpeaks, Activism, ActuallyAutistic, ASAN Pledge, Autism Speaks, Autistic expression, Chalk, Chalk it up to Activism! #BoycottAutismSpeaks, Community Living, H on presenting, Inclusion BC, negative stigma, Not a Tragedy, not an impostor. Bookmark the permalink. 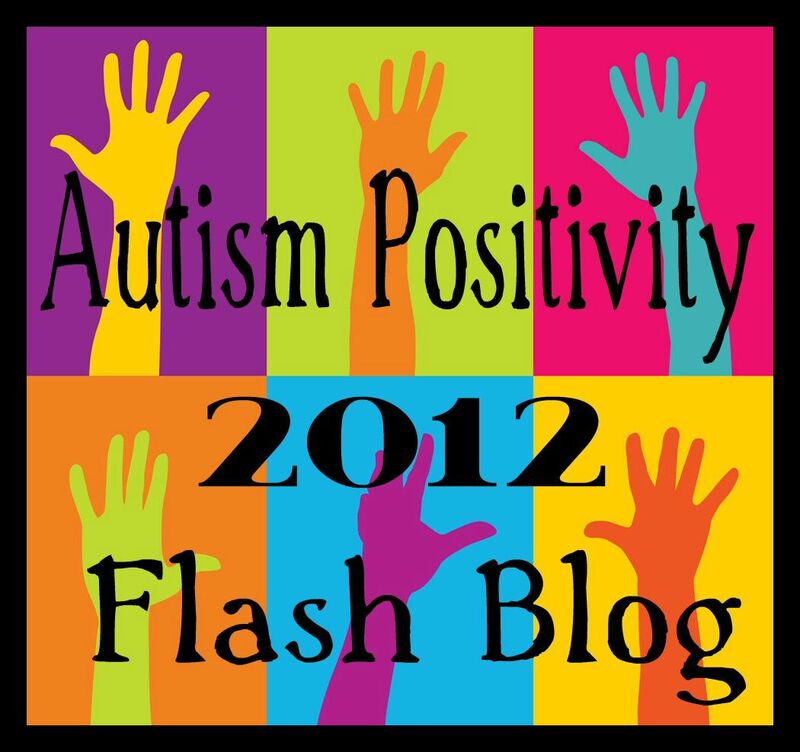 Listen to us, Autism Speaks, listen to Leah’s son, H!! We are NOT the tragedies and burdens you keep on portraying us as!!! You need to listen to us, Autism Speaks. Listen to us and realize that we are human beings like everybody else. Autistics speaking for themselves, in whatever way they can, to help others understand. Autism Speaks for themselves; they’re not a platform for autistics, but a roadblock – which is becoming clearer to the general population (thank goodness). https://www.youtube.com/watch?v=QP-_SMiKw7U All the info is in the video’s description.